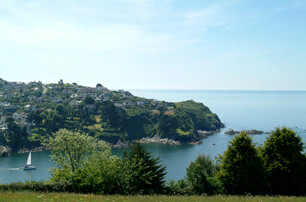 This lovely 'secret' cove is reached by a track that winds down through the woods from the church in the village above. 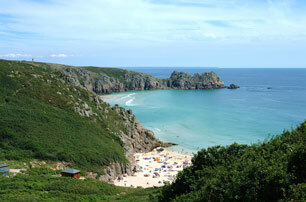 It can also be incorporated as part of a walk on the South West Coast path from Pencarrow Head or Polperro. A small waterfall tumbles down to the left of the cove on the site of an old watermill. Beautiful gentle walk down a shaded woodland path towards a stunning view of the sea, and a shingle/sand beach offering surfing, body boarding, swimming and rockpools. A hidden gem. This little cove is a fair walk from the nearest parking, but if its space and a lack of crowds you seek this is the place to go. The beach is more shingle than sand and this gets very hot on a summers day. Well worth making sure you have flip flops as it’s also quite sharp. Lots of rocks around the water’s edge and shallow water for about 20 metres so it’s ace for snorkelling and paddling. Lovely cliffs and rolling hills surround you.